A new deck of divination cards, called Wisdom of the Oracle by Colette Baron-Reid, has totally surprised me - in a good way. I love oracle decks – I’ve got quite a few of them - but I’ve never before found one that had the depth of symbolism I find in most tarot decks, and tarot has always been what I’ve turned to in the past when I've wanted a serious reading. 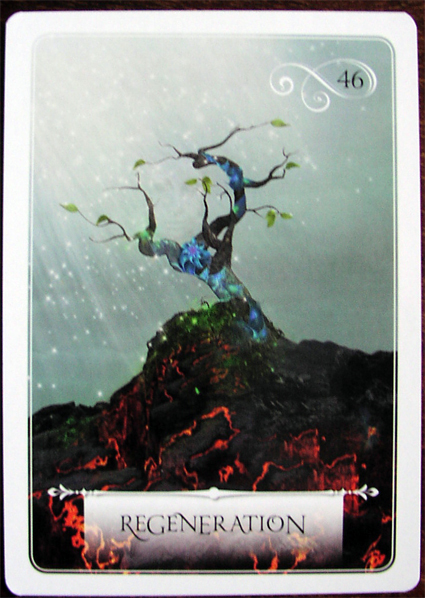 On the other hand, tarot decks often lack the focus on a specific topic that oracle decks can have. The Wisdom of the Oracle seems to have it all – as well as beautiful artwork. The past couple of weeks have been a tough time for me. I was first faced with some financial and legal problems, then I had to make a difficult decision when I was offered a four-month work contract that would have paid well, but meant giving up other work that I love. While all that was happening, my cat became seriously ill and passed away. The Wisdom of the Oracle guided me through it. On the legal matter I drew a card called By the Book, telling me to abide by the law even though what was happening felt very unfair. On the work issue, I got All That Glitters, suggesting that it would be best to avoid the job that seemed to offer good money as it would not turn out to be as great as it seemed. When my cat died, a card entitled A Leg Up recommended turning to friends for support in difficult times, while other cards reminded me that rebirth and regeneration follow loss. Quite apart from giving me helpful and accurate readings, what really blew me away about this new deck is that it absolutely resonates with symbolism. As publisher Hay House says on its website: "Colette Baron-Reid has expertly blended elements of the I-Ching, Norse runes, traditional tarot, and other ancient divination tools into a sacred communication system: Wisdom of the Oracle." It is a 52-card deck, but the guidebook that comes with it offers multiple interpretations for each card depending on whether a specific question is being asked - and you are encouraged to ask questions before doing a reading. 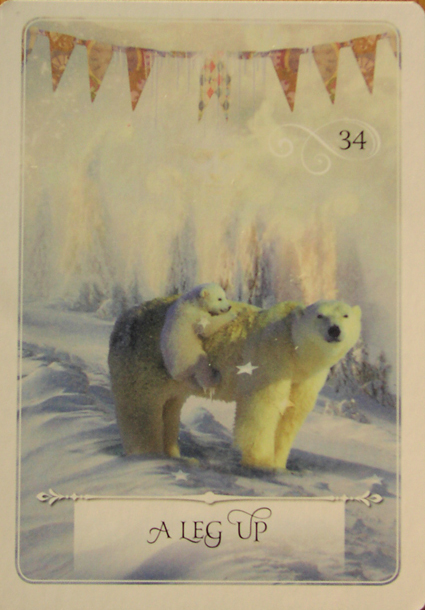 As well as a general meaning, there is an oracle's message, a relationship message, a prosperity message and a protection message to use if the card is drawn reversed. This means there are more than 250 independent meanings that can offer insight into most circumstances. No deck of cards is going to solve all life's problems for you, but I have to say I found this deck helpful when times were quite grim - not fluffy, but supportive while giving me plenty to think about. I also really love the artwork with its beautiful, surreal images that are full of symbolism. Wisdom of the Oracle Divination Cards: Ask and Know can be ordered via Amazon. These cards are really beautiful and I would be interesting in making a special deck for reading purposes.